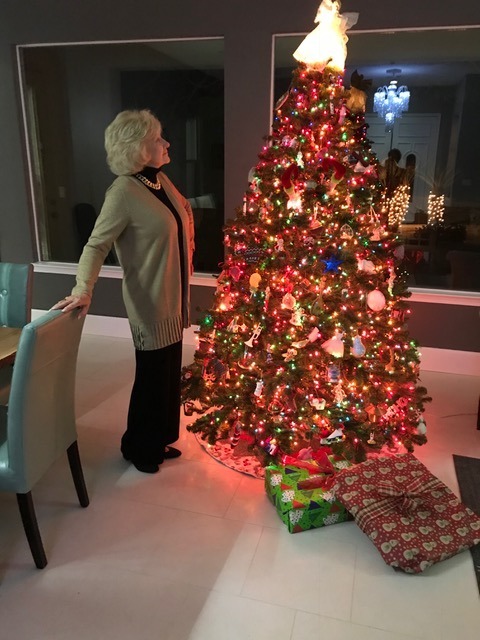 There was a wonderful Christmas Spirit as we gathered in Dawn's home for our annual Book Club Christmas Party. The book for discussion was The Autobiography of Santa Claus as told to Jeff Guinn (I highly recommend this wonderful story which leaves everyone who reads it, a Believer). I wore my new Chico's pleated cardigan. I LOVE IT. It is my new "go to" piece for all occasions. I wore it with my monochromatic pairing of black turtle neck and black slightly bell bottom velvet pants. I can't wait to wear it with Levis and a fun blouse. It's the subtle (but stunning) details that make this lightweight, long-sleeve cardigan anything but ordinary: the light shimmer and that beautiful pleated hemline. You can buy it right now, right here with a Click. If you hurry you can purchase it during Chico's 40% everything sale. 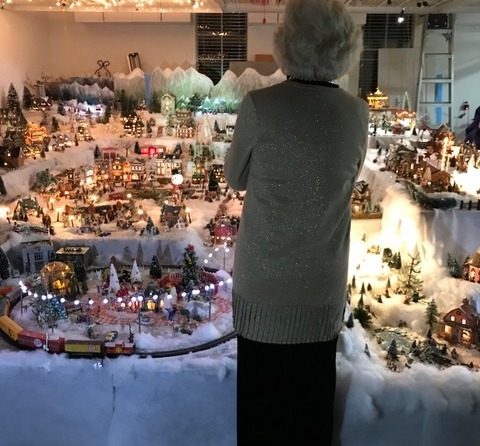 Dawn set up her entire Christmas Village this year and what an absolute amazing display it is. The details of each individual setting are delightful. One could just stand for hours taking it all in. Each individual setting was unique in it's technical components. 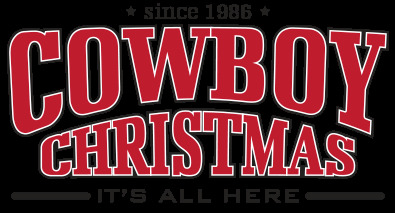 The Cowboy Christmas returns to Las Vegas with more wares to keep even the most avid shopper entertained. 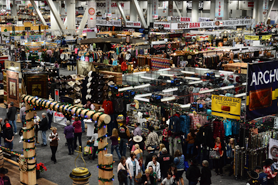 Over 440,000 square feet of show floor hosting 400 plus vendors from across the United States and Canada showcase their unique products which include: customized jewelry, western wear, boots and spurs, furniture, original art, handmade crafts and pottery, as well as providing the best source for the Official Wrangler NFR and PRCA merchandise. There is no way that I am going to pass up a "shopping event"
For my "shopping" attire, I have mixed a little cowgirl with an animal print. 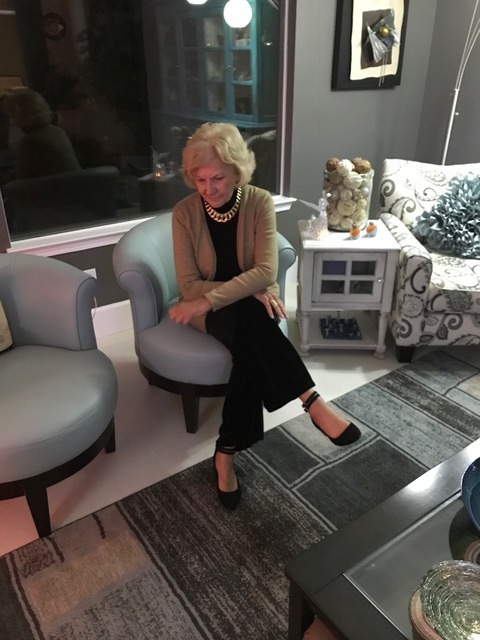 My sweater is pulled from my closet and is from Ralph Lauren, I found a very similar one CLICK It's shawl collar and button front with ribbed cuffs is perfect over the Leopard print. J Jill pants fit, the rise is about 1 inch below the natural waistline so they fit comfortably without slipping down. My boots, MIA Joshua Bootie, are from last year, but DSW shoes have some great ones this year. I'm in my western mode. I'm loving this long tiered lace skirt and denim jacket. I pulled the skirt from my closet. 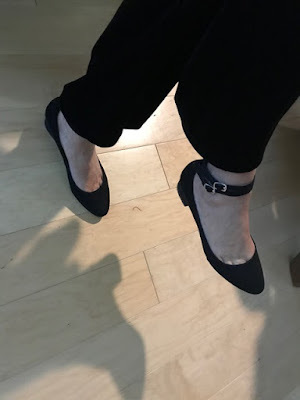 It's a favorite that can be worn in a variety of ways.........today I have chosen a western look since I am still feeling "cowgirl" due to the rodeo in town this week. And I can't say enough "good" about my red boots. The denim jacket is from the Reba Collection and is a few years old. I love the detail...... large silver buttons, piping around all edges, hand sewn embroidery detail and silver studs. Did you notice my silver Zuni Indian Fetish necklace? My fetish necklace is made of small silver animals. Each animal depicts a type of luck, power or protection. Fetish necklaces are worn for healing, spiritual guidance and protection purposes. I purchased my necklace many years ago when I was a college student working at a lodge near the North Rim of the Grand Canyon. It is one of my prized possessions. Did you notice my silver belt buckle? It was purchased in (and has the date on it) 1985 at the NFR Rodeo Finals. 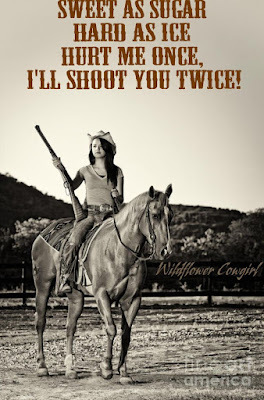 Def: Cowgirl Up - "Cowgirl Up" is the female version of the old rodeo warning call, "Cowboy up." This cry from the chute meant that the rider was seated on the bronco or bull and was ready for the gate to open. Over time, the expression came to mean that someone was ready and able to tackle some huge challenge. In some cases, it is even used as a verb: to cowboy up, meaning to be prepared physically and mentally for some difficult or dangerous undertaking. "C'mon, cowboy up for the job; you can do it!" Did any of you watch the Victoria’s Secret Fashion Show a few nights ago? One hour of over the top costumes intermingled with some A-list musicians. The venue was Shanghai, China. Perhaps a smart move considering that I have heard that the lingerie market of China will soon double that of the United States. The perfect size two models demonstrate the fact that Victoria is not interested in broadening the idea of what is ultra feminine. In my opinion the models were NOT scantily clad. If you wanted to see that, you needed to watch the 2017 Miss Universe Bathing Suit competition on the 26th of last month. one hour of eye entertainment. In reading the reviews, the highlight of the evening was the slip and fall of the Chinese model Ming Xi. The show is not televised live, so why wasn’t the unfortunate incident cut from the televised show? According to the Washington Post, “for producers, a model falling down is TV gold”. For whom is the fashion show extravaganza targeted? I’m not sure, but an estimated 800 million people watched. Is it as relevant today as it has been in the past? Only YOU can answer that question.